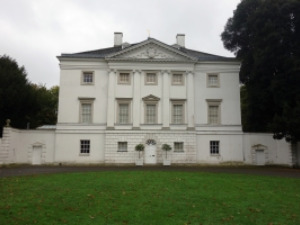 Marble Hill House020 8892 5115work Historic HouseMarble Hill is the last complete survivor of the elegant villas and gardens which bordered the Thames between Richmond and Hampton Court in the 18th century. It was begun in 1724 for the remarkable Henrietta Howard, mistress of King George II when he was Prince of Wales, and friend of some of the cleverest men in England. The house and gardens were planned by a coterie of fashionable connoisseurs, including Mrs Howard's neighbour, the poet Alexander Pope. A lovely Palladian villa still set in 66 acres of riverside parkland, Marble Hill was intended as an Arcadian retreat from crowded 18th-century London. It became renowned as a salon of literary wits, gathered round their learned hostess. The compact but carefully planned interior is focused on the first floor 'Great Room' where Mrs Howard held court. Marble Hill is the last complete survivor of the elegant villas and gardens which bordered the Thames between Richmond and Hampton Court in the 18th century. It was begun in 1724 for the remarkable Henrietta Howard, mistress of King George II when he was Prince of Wales, and friend of some of the cleverest men in England. The house and gardens were planned by a coterie of fashionable connoisseurs, including Mrs Howard's neighbour, the poet Alexander Pope. Marble Hill's interiors have been exquisitely restored and recreated, and some of its dispersed original contents have been re-assembled from as far afield as Philadelphia and Melbourne, Australia. There is also a fine collection of early Georgian paintings, including portraits of Mrs Howard and her circle. There can be few places in England which better recall the atmosphere of Georgian fashionable life. A display recreates the Chinese wallpaper Henrietta Howard hung in the dining room. A unique paper has been designed to fit the room, each sheet different and hand painted by Chinese artists. House is open by guided tour only on Saturdays: 10.30am & 12pm. Sundays: 10.30am, 12pm, 2.15pm, 3.30pm. Tours last approx 1.5 hours. Oversees visitor pass available with unlimited access for 9 or 16 days - see website for further details.